Patience is key when choosing the perfect avocado, and the reward of buttery smooth flesh is well worth the effort. 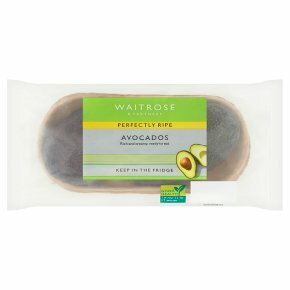 Our Waitrose 1 Avocados have a smooth texture, and work best in salads or as a decorative starter. We follow the sun, selecting the best avocados from around the world. Always in season, lovingly ripened and ready to eat. We follow the sun. selecting the best avocados from around the world. They're expertly ripened and ready to eat.